In July 1849, Abner Blackburn, a former member of the Mormon Battalion, made the first gold discovery in what is now Nevada near this site. William Prouse, a member of a passing emigrant party, made a second discovery further up Gold Canyon in May 1850. The discoverers of these placer gold deposits believed the promised riches of California to be greater. Most emigrants consequently continued their westward journeys, but a few returned after finding most of California's Motherlode creeks and rivers already claimed. By the Spring of 1851, some 200 placer miners, including james "Old Virginny" Finney, were working in the area. The continuous occupation of Gold Canyon's mouth makes this site Nevada's first non-native American settlement. 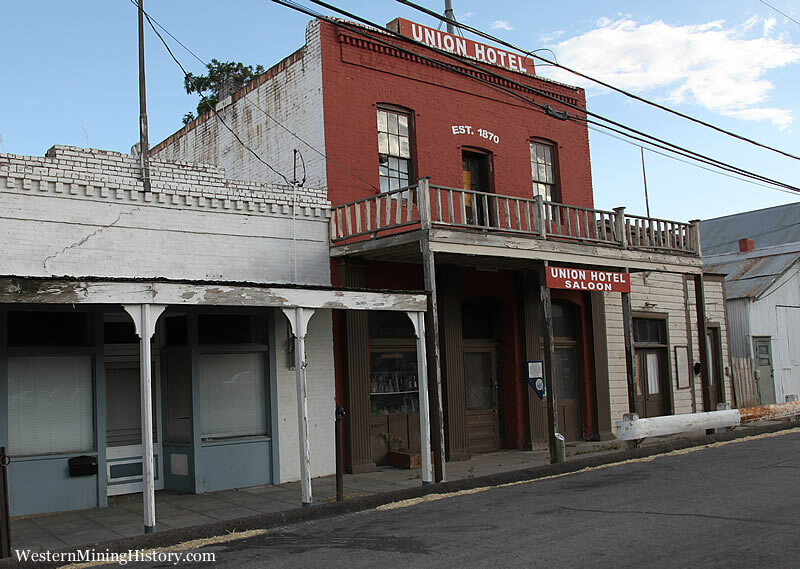 Dayton, also known as Chinatown, became a mineral milling, commercial and agricultural center after prospectors and placer miners worked their way up Gold Creek. This monument commemorates the 150th anniversary of the discovery of gold and the thousands of pioneers who passed near this site.